This is most comprehensive and revolutionary reappraisal of biblical history. This book explains every facet and every character within the New Testament narrative, and places them within a real historical context. Ralph starts by confirming and proving that the New Testament Saul (St Paul) was actually the historian Josephus Flavius. This may sound inconsequential, but this connection brings with it many new descriptions of the biblical family and the Jesus movement. Contrary to orthodox perceptions, King Jesus and Queen Mary Magdalene were the richest couple in Syrio-Judaea. The Romans wanted to impose taxes on Jesus and Mary, provoking a bitter dispute which became known as the Jewish Revolt. King Jesus fought and lost that war, so he was crucified, reprieved and sent into exile in Roman England. In those remote lands, King Jesus became known King Arthur (the constellation of the Great Bear) and his twelve disciple-knights of the Round Last Supper Table (the Round Table was laid out as a zodiac). Sequel to "Cleopatra to Christ". 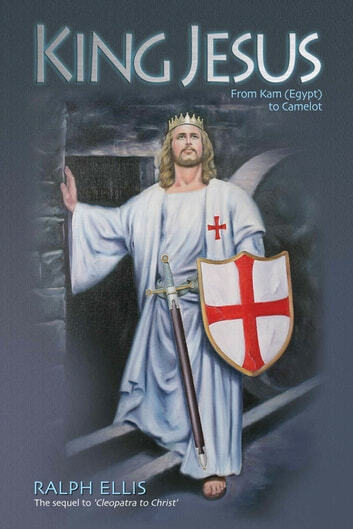 Followed by "Jesus, King of Edessa"
See also "Mary Magdalene, Princess of Orange"
A History of New Testament Times in Palestine, 175 B.C. 70 A.D.